I’m just your average mom who has made her home here in Alaska for the past 30+ years. I enjoy cooking, photography, hiking, gardening, and spending time with my family. 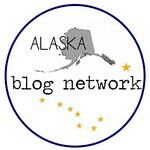 This blog will touch on a variety of subjects from cooking/recipes to hiking in the back country of Alaska. I’ll try to post as many photos as possible, so you can view the beautiful scenery that I see every day. Found your blog from the Foodie BlogRoll. I so enjoyed Alaska when my hubby and I were there a couple of years ago. We rented a car and drove all over the state, mostly southern half (also did a cruise once, too). The scenery was unbelievable. The halibut. Well, you know all about that! So enjoyed the town of Homer (what a view). I’ve added your blog to my RSS feed. Hello! Just wanted to write a note because I visited Alaska this summer and found it to be so beautiful. I am from North Dakota so understand some about the weather, just not quite to the same extreme as you endure I’m sure! Enjoyed your blog and Thanks for all your hard work! I signed up to follow you on twitter too! It will show up as cookiesncakes. Thanks again for your wonderful blog! Hi there! My family & I just moved here to AK in Jan. My husband is Air Force. I have your feed on my webpage…can’t wait to see what other great stuff you come up with! I am thoroughly enjoying your blog. You have such interesting recipes that I can’t wait to try. I’ve added your link to my blog. Love your blog! I have shared it on my FB page (Late to the Table). Keep up the wonderful work. BTW I have a crazy easy recipe for “truffles” involving Oreo cookies. Dangerous. I have just found your blog through Linked in. Its lovely, I love the pictures! Off to look through your recipes next! You have been nominated for the Sunshine Award. 🙂 Please check our June 10 post The Sunshine Award for details. Cheers! Hello! Your Pinterest recipe on your overnight French toast led me to your blog. Nice to “meet” you! Nice to meet you too, Julie! Thanks for visiting! Thanks. For visiting my blog Ajaytao2010.wordpress.com. Browse through the category sections, I feel you may definitely find something of your interest. http://bettycakes.wordpress.com Hope you’ll come visit.